Today, Jabu the Elephant is showcased on Mashable's Pawsthetics episode! Jabu loves being on the big screen! Please #standwithjabu. Jabu needs help to find the best treatments possible for his carpal valgus and wrist injury. This orthotic is one such measure and can help stabilize his leg. Even though Jabu is an impressive 5-6 tonnes, he is only 31 years old and therefore has a lot of growing to do. Treatments to stop the wrist from re-injuring are absolutely necessary. He is not completely wild, as depicted in this clip. 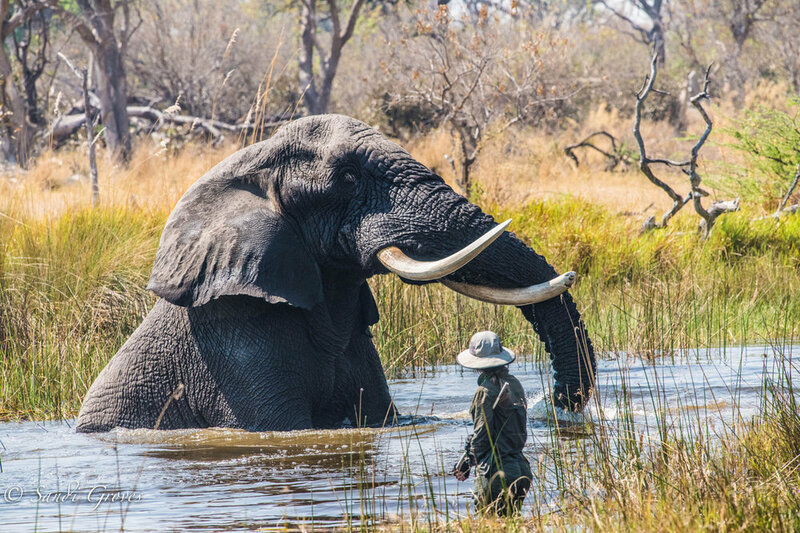 He lives a semi-wild life in the heart of the Okavango Delta, loved and watched over by Doug and Sandi 24/7. The Groves spend 10 hours a day on foot, everyday no matter what the weather, following Jabu and Morula around in the bush, while they forage and encounter wild friends! Jabu can eat 500 pounds of leaves, bark, bushes a day! Doug and Sandi have spent the past 30 years walking these long miles with the elephants to ensure they have the best quality of life possible. Jabu was orphaned as a calf in a South African culling operation. This is his second chance at life with Morula and the Groves, and a great one! Keep following Jabu's story! Jabu is the only African elephant bull in the wild of Botswana you can hold trunk to hand.